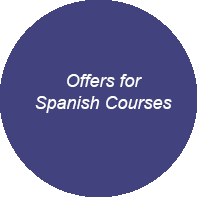 Discover our offers, promotions and discounts* in training for teachers of Spanish as a Foreign Language (SFL) and in our Spanish Courses, by clicking the corresponding icons. 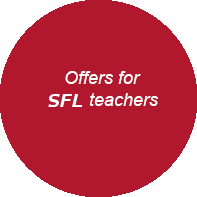 We have permanent promotions, seasonal promotions, discounts for unemployed, discounts for SFL teachers, discounts for couples, discounts for beginners, discounts for long-term courses, discounts for course packs, exclusive coupon offers, deals, online contests and competitions, and much more, you will be surprised! *Offers, promotions, and discounts are not cumulative. Take a look through all the current offers and promotions available for you. Click to view the full list of promotions! 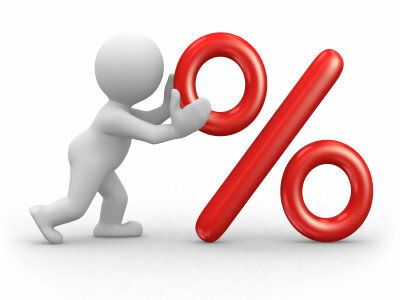 Incredible discounts and exceptional promotions that you will love! Take advantage of the best prices. These pages are updated regularly to include any active promotions, coupon codes, deals, discounts, rebates or other specials so you can benefit.